TAMARA MOSKVINA (TM) : " I am a translator, press-secretary, advertising agent, and researcher... "
Interview by Alexander Vishnevsky, (AV) a special correspondent of the Russian Language Newspaper " Novaya Gazeta" published on December 20, 2004. Introduction: The middle of the Winter Olympic cycle rapidly approaches. In two years in Turin the hopes of the Russian fans, as always, will be focused on figure skating. Those who wait for medals, and those who wait for scandals. Tamara Moskvina, a coach who brought up several World and Olympic champions, talks about the prospects of future developments in figure skating. Tamara Nikolaevna rushes through the Petersburg Palace of sports "Jubilejny" with the speed of light. Interview? Yes-yes, certainly! To tell you the truth, I am completely out of time, but we can talk now. Ms. Moskvina rushes between the ice, the coach's room and the gym, performing a lot of tasks on the run and also having time for jokes. Rushing by children's carriages, she mentions: - See who they already bring in as pupils! The time shortage is not a problem for Moskvina. During our conversation she successfully passes other traffic in her Volkswagen. AV - Tamara Nikolaevna, how would you explain the weakness of Russia's position in pair figure skating? The competition among the Russian pairs, apparently, leaves much to be desired. TM - But why? Our leading pair is Totmjanina & Marinin, they are the world champions! Petrova and Tikhonov are competing with them rather seriously. 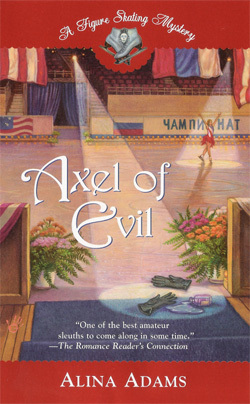 AV - But before, in any international tournaments, the Russian pairs competed exclusively with each other for "gold" and "silver". TM - Correct. Now, the Chinese pairs are representing big competition for us, they even somewhere pushed ahead of us. It is a fact for any business. Something new is born at all times, it develops, and the situation changes. TM- It is possible to say that there are two strong schools: Petersburg and Moscow. The Petersburg school has good pairs and men's singles. The women's and men's singles are successfully developed in Moscow. But now, as well as everywhere - in economy and in policy, - we observe the return to everything as it was before. Many cities build skating rinks and begin to revive figure skating. Therefore it is not necessary to see everything as a pessimistic situation, everything comes in waves. AV- Than are you pleased with the development of figure skating in Russia? TM- It is natural. Certainly, when my students won gold Olympic medals, the work was especially pleasant and interesting for me. Now I do not have such students, but it is not an occasion for sadness. E verything flows, everything changes and develops. AV- And figure skating developed always due to progress in technique. Do you believe that the limit of human abilities in it has already been achieved? TM- I do not think so. It was considered earlier, that the triple jump was inaccessible. And now everyone is doing triples - even the small children. We always are afraid to glance beyond the limits of human abilities, although sportsmen in other kinds of sports show such results that earlier were unthinkable. But even if we shall reach the technical ceiling, in fact the artistic opportunities are boundless. AV- The Summer Olympics have shown, that in other subjective kinds of sports - regular and rhythmic gymnastics, the new developments depend on the technical part, rather than creative, artistic. Is that a trend? TM- There is a mutual development of the technical and artistic parts. 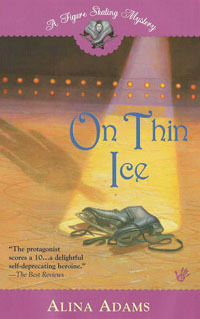 It was so during the development of figure skating. For example, Belousova and Protopopov introduced the artistic, creative part of figure skating. And then Rodnina and Zaitsev lifted the technical part. There is parallel development. We should not position one against the because these are complementary components. AV- What is your opinion on the new system of judging? TM- It is difficult for me to draw any conclusions at this time - for this purpose it is necessary to monitor at least two competitions with the new system and to learn whether the results will correspond to my impressions about final places. But in principal, it is a rational system, in particular for judging the complexity of executed elements. It is clear that not all the criteria has been validated, but the criteria were made more objective. AV- How in general it is possible to fight with subjectivity in figure skating? TM- There is no way! It is a sport with a subjective way of measuring the results. It is built into the system of judging. AV-Figure skating in the last few years became the kind of sport which bring most of all squabbles, scandals. Why is it? TM- What are squabbles and scandals? They are a part of human activity. And in each area of human activity there are levels of mutual relations, communications by people, communications by the organizations, competitions of people and the organizations. The positive forms of competitions are the sports competitions, and the negative forms of competitions are squabbles and scandals. When my opinion is expressed in a civil way, then it is a position. Expressed in another way it will be a scandal. And then… who pays, that one orders the music. It is quite natural in any country and in any organization. AV- Especially at the Salt Lake City Olympics when the gold medals were awarded not only to your students Bereznaja and Sikharulidze, but also to the Canadian pair. Were you surprised by the enormous support for the Canadian pair on the part of the western public and all of the western societies and mass-media? TM- Certainly, I was not surprised at all. In each business, in each trade, in each country, each person wants to be the first. For example, your newspaper wants to be the most objective or to have the most opposing views, or tohave the largest distribution. Is this correct? It is also inherent in any other field of activity. Let's assume that in the past the newspaper "Pravda" was the most-most-most read newspaper. And everybody was trying to bring that newspaper down. The same was with the Canadians. If for many years, decades, many of my Russian students always won the pairs, that certainly caused strong irritation to the other side. Naturally, this other side would try all means against us. Especially when the advantage from the other side was not so great. And the press has huge influence in forming public opinion. Anticipating a victory for the Canadians, the western press convinced public opinion and the judges that Canadians were better. AV- One year prior to the Salt Lake City Olympics you left for America - was it for the sake of best preparation for the Olympics? TM- We were solving several problems, including mercantile, as they say. We both (with Igor Borisovich Moskvin. - AV.) were already at the retirement age. We were offered a lucrative enough contract, which provided also free-of-charge preparation of Bereznaja and Siharulidze for the Olympics. To prepare them using other people's money, not asking anything from the country and then not accusing anybody, was very logical, and we took advantage of the offer. AV- In one of your interviews right after the Olympics, it was possible to read the words which do not correspond to what you are saying now. Let's say that after what has taken place at the Olympics, you did not expect any moral support from the Russian officials. TM- No, I did not say that! I never abuse authority. Because if I shall start to abuse the boss, being his employee, he would throw me out tomorrow. Besides, that authority - the sports committee, was chosen by us. Therefore it is silly to accuse them of anything. These officials are in charge of developing all the sports in the entire country, representation in the international organizations and so on. But my objectives is the preparation of sportsmen. I am engaged in other matters. Why should I accuse someone if I was the one who could not prepare a pair so that they would be head and shoulders above the competitors and nobody could even compare them? AV- It is enough to observe your work for a short time as to understand that a huge number of functions is assigned to you, those far from being only a coach. TM- It is possible to try to list them. I coach, I supervise, I make plans, I am the representative and the agent for the sportsmen, I am also the translator, I work with the press, I am engaged in the advertising of sportsmen, defending their interests in the international organizations and notifying the international magazines. Earlier I wrote textbooks, worked in the institute. Somehow it turns out that way. ASV- It is all fantastic! But is it correct for the coach to get involved in management functions? Would it not be better to concentrate on the main task entirely? TM- I am not the head coach, I am just a coach. I am engaged only with two Russian pairs (and one Japanese. - AV.). And as the coach, I take care that the sportsmen are not only well prepared, but also participate only in those activities (including commercial) which would not harm their sports perfection. The agent will be mainly interested in the commissions and so there can be a conflict of interests between the coach and the agent. As long as I combine these functions, a problem is avoided. I know the language, the sources, the necessary people as I am engaged in it for a very long time. AV- You are known as the master of inventing original situations. For example, changes of costumes directly before performance by the pair, which makes a special impression. TM- Is necessary to think of something original as to stand out! AV- Is it your principle only in figure skating or in life in general? TM- Only in figure skating. To be original in everything, there is no time. 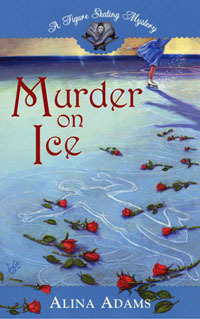 For a chance to win free copies of "Murder on Ice" and "On Thin Ice" please visit www.AlinaAdams.com .